Cameron Waters has slammed Tickford team-mate Chaz Mostert for a ‘dumb’ move that put the Monster Ford out of contention early in the Supercheap Auto Bathurst 1000. Waters had just handed his Falcon over to co-driver David Russell when the incident occurred on lap 22 of 161 while they battled for seventh. Mostert ranged down the inside of Russell into Forrest’s Elbow, but found himself squeezed for space, making contact with the left-rear of the Monster entry. That slammed Russell into the right-side concrete, breaking the car’s suspension and leaving the veteran co-driver to battle his way back to the pits for extensive repairs. Officials reviewed and dismissed the incident shortly afterwards, declaring no action will be taken. 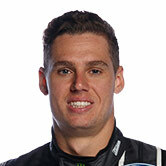 Waters had been the only Tickford driver to make the Top 10 Shootout and ran inside the top 10 during his stint. “D-Russ just got out there,” Waters told the television coverage moments after the incident unfolded. “I don’t know what Chaz was doing trying to pass him and put him in the fence. Waters then went over to Russell, who was still in the car, with an ambient microphone capturing the former’s fury. “Sorry man, we just got f***ed up by our f***ing team-mate,” Waters said to Russell. 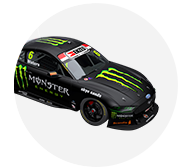 Waters and then co-driver Richie Stanaway led the most laps in the 2017 race, but were taken out in a late-race melee triggered by Mostert. 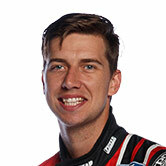 The Supercheap car escaped damage in this year’s incident, with Mostert continuing unaffected. Speaking after his stint, Mostert stressed that he'd pulled the car up for the corner before the contact was made. “D-Russ just came out of the pits on a new set of tyres,” he said. “It looked like there was a big gap there, so I went down the inside and stopped it, but just ran out of room in the middle of the corner," he said. “It definitely wasn’t my intention to do something bold, but the car was stopped and it’s a pretty tight corner as it is. “It’s a real shame for the Monster guys. If I could take it all back I would wait for another opportunity, you never want to make contact with your team-mates."